2019 VSP novelty organized by our Sales Manager, Stéphanie PRIN. 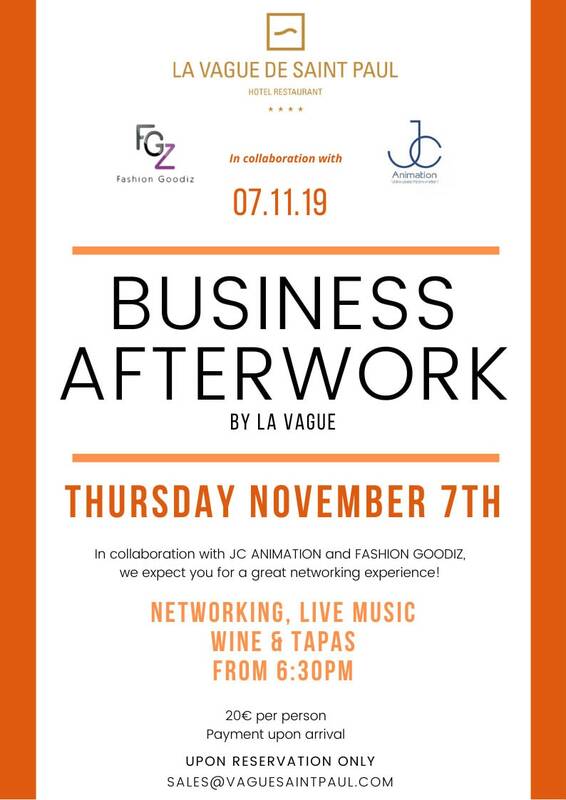 Each month, except on July and August, La Vague welcomes you for a Networking Afterwork : you wish to make your business known, extend your network, meet new people or just visit the hotel, shaue with us this casual and musical moment with a drink and some tapas. Cherry on the top : the participant list will be sent to all after the event. RATE : 20 Euros per person.